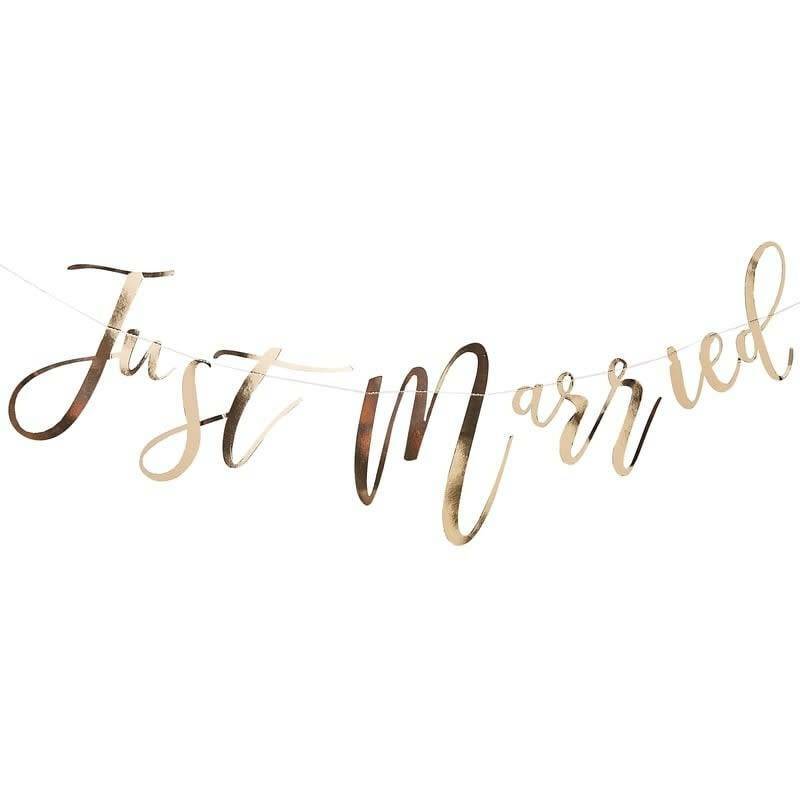 > Gorgeous Gold Just Married Bunting > Bunting measures: 1.5m in length and 25cm (H). The gold bunting can be hung against a wall at the wedding reception or even behind the top table. 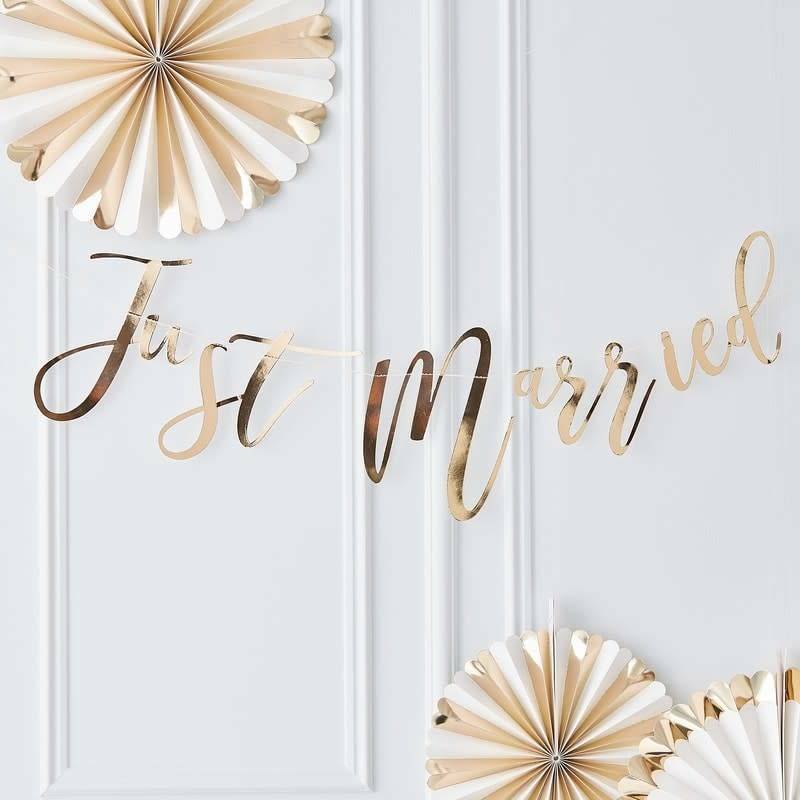 Use with other items within the Gold Wedding range to create your perfect wedding set-up.